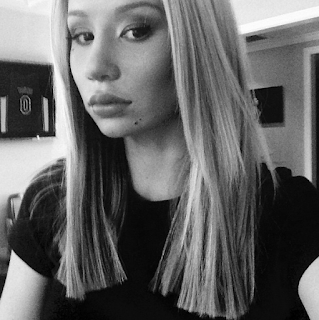 Iggy Azalea dropped from Pittsburgh Pride Festival after homophobic Tweets surface. Iggy Azalea announced on Monday that she was canceling her planned Pittsburgh Pride performance this weekend. The rapper made the announcement on Twitter after getting criticism from the LGBT community for Tweets she previously posted that were seen as homophobic. "I am a firm believer in equality," she wrote. "Unfortunately in the past as a young person, I used words I should not have. The last thing I want is for something so carelessly said to be interpreted as reflective of my character." The Australian star said she meant no harm and deeply regrets "uttering those words." "As an adult I would never use them because I understand they play a detrimental role in the fight for issues that I do truly believe in," she continued. Azalea, 25, was criticized by Pittsburgh City Council president Bruce Kraus, the city's first openly gay elected official, and several groups canceled their appearances in protest over her appearance at the Pride in the Street concert on Saturday, according to the Post-Gazette. "as a young person"? bish please! you was 20 or 21 when you posted those tweets not 12! anyway....i think she was dropped more cuz her 15 mins are up than for those old tweets. damn! at least when lady gaga fell off she became a jazz singer as a back-up plan. what can igloo do besides wrestle kangaroos in the outback? Yuck why does her face look so weird in that picture! Damn she's ugly.